Q: What’s the opposite of coffee? Q: What do you call a cow that has just given birth? Q: What’s it called when you steal someone’s coffee? Q: How are coffee beans like teenagers? A: They’re always getting grounded! 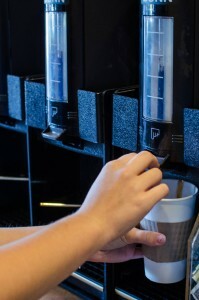 All jokes aside, our Rembrant coffee at the Bagel Bakery is always fresh, always hot and always delicious. Come on in and enjoy a cup to start your morning right. Why does it seem like life is most hectic during the fall? To get through your busiest days, you need a complete breakfast. At the Bagel Bakery, we have you covered. 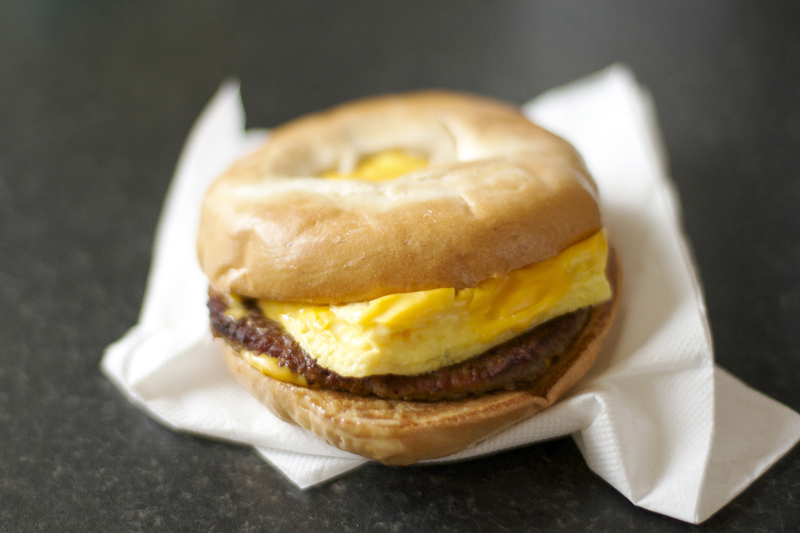 The Eggl Bagel with meat is the perfect way to start your morning. With scrambled egg, cheese and your choice of meat, this bagel is hearty enough to satisfy you for hours. The mix of carbs and protein energizes you for whatever your day throws at you – whether it’s that boring meeting, tough workout or final exam. Plus, be sure to get your caffeine fix with our fresh-roasted coffee. Make it a combo and get an Eggl Bagel and 16 oz. coffee for only $7.89.